Noodle Stir Fry. Unleash Your Inner Chef. Who does not like a good stir fry? I created this recipe while wondering what my ajebutters were going to eat. I knew that if I cooked one more stew, they were not going to even look me in the face talk less of eating it. It was my first time making this type of stir fry and it was a hit! My ajebutter 1 and two ate their food really quietly. When my ajebutters are quietly eating, it means that they are enjoying and savoring every bite of their meal. It is a huge satisfaction for me. As a mother, it is sometimes a daily struggle trying to cook a variety of healthy foods for my children. So, anytime they enjoy my cooking; it pleases me. As I write this, I am still racking my brain on what to prepare for my ajebutters for dinner. I almost always have to plan meals at least a week in advance. When it comes to cooking, your children have to be involved. This enables them to find their meals exciting and in turn teach you as their cook what they actually like. This noodle can be freestyled any kind of way. You may add any ingredient you want and just like fried rice you have to cook it on really high heat; while being careful about it because you need your shrimps and vegetables not to over cook. Another cool trick I used was spreading my noodles on a tray after draining; to prevent it from being sticky. Cooking this meal is so easy, it goes from pan to plate in a matter of 20 minutes. I mean, you would be feeling like a chef by the time you finish making it and you would screaming Eureka! Noodle Stir Fry. Unleash Your Inner Chinese. peel and devein the shrimp; leaving the tail on. Mix with half a tbsp. of the soy sauce and set aside. Bring a large pot of water to boil. Add a pinch of salt and a1/2 a tsp of oil or butter to the boiling water. Pour in the noodles and cook for about 2-3minutes and drain(you may follow the package directions of any noodle you use). Spread the noodles on a tray to prevent it from being sticky. 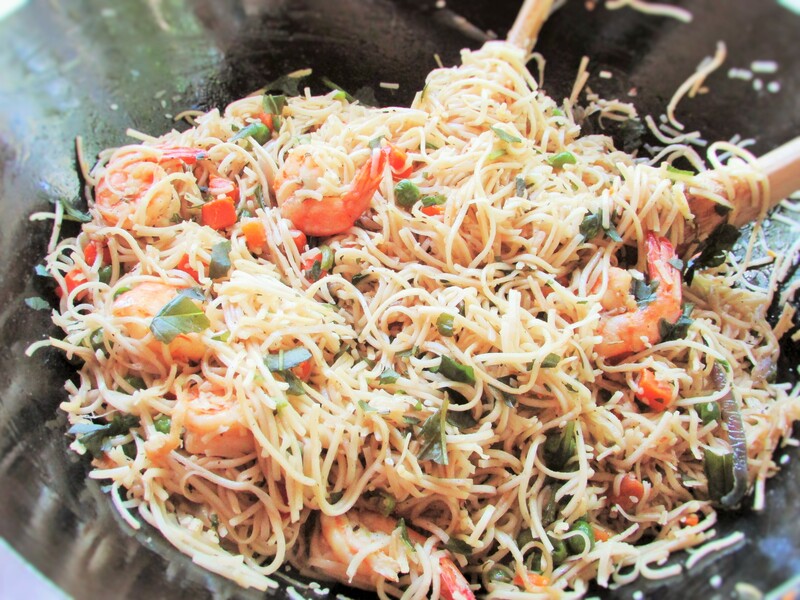 This entry was posted in main dishes, main meals, Noodles, Stir fries, Stir fry, Stirfry, Uncategorized and tagged asian noodle stir fry recipe, Asian noodles stir fry, Chinese noodles, coconut chinese noodle stir fry recipe, coconut chinese noodles, Noodle stir fry recipe. 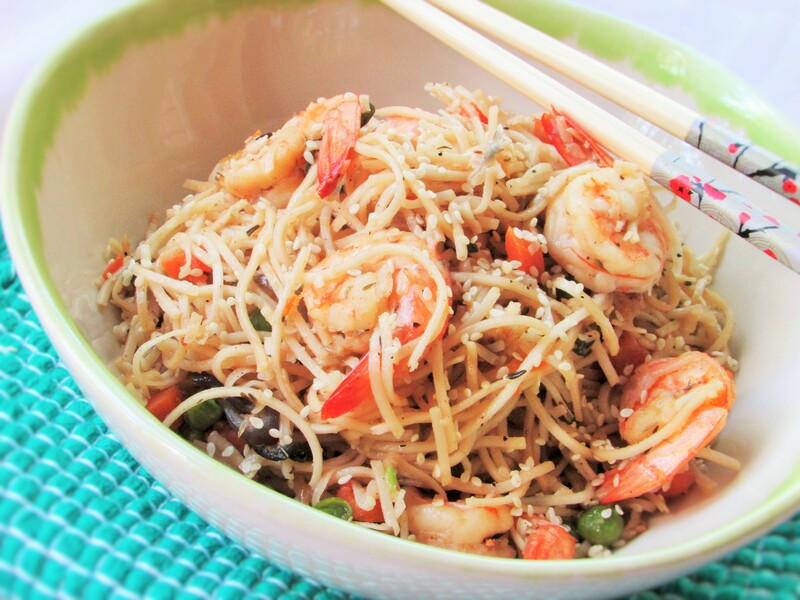 chinese stirfry recipe, shrimp and noodle stir fry recipe, shrimp and noodles, shrimp and noodles stir fry, shrimp and vegetable stirfry recipe, stir fry recipe.